Win $1,000 To Spend On Outdoor Gear In Our Summer Giveaway! Summer is nearly upon us in the Northern Hemisphere, and we want mark this wonderful time of the year by giving you the chance to win a $1,000 (USD) worth of vouchers to spend on outdoor gear and travel accessories in the Travel Mono Store. 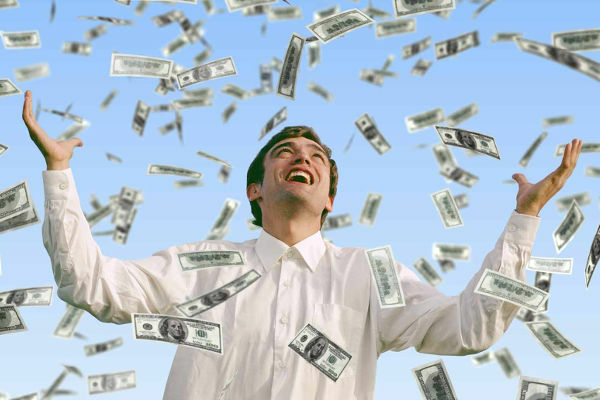 That’s right, $1,000 to spend on whatever you want in the Travel Mono Store. The Travel Mono Store supplies high quality outdoor clothing, footwear, luggage, backpacks, camping equipment, sports accessories and travel gadgets at great value prices. Something for every adventure. The Competition will run for the whole month of June with giveaways every Friday during the month, and there are no limitations on the vouchers. You can spend them on any products in-store, including items already discounted. Lets get you started with a few ideas. 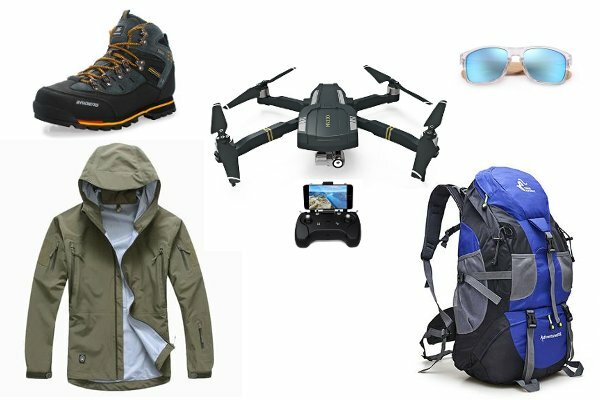 As you can see above, you could buy yourself a C-Fly Obtain Quadcopter Drone with 4K camera, a Free Knight 50 liter backpack, a pair of Hu Wood bamboo framed sunglasses, a pair of Gomnear hiking boots, a Reebow hiking jacket and still have $75 left over to spend another day. Not only is there the first prize of a $1,000 up for grabs, but we have some great runners-up prizes on offer. We will also be giving away $25 vouchers and Travel Mono t-shirts every Friday in June. 1st Prize – $1,000 voucher Valid For The Travel Mono Online Store. 2nd Prize – $200 Voucher Valid For The Travel Mono Online Store. 3rd Prize – 10 People Will Receive Both a $25 Voucher Valid For The Travel Mono Online Store and a Travel Mono T-shirt. Friday Giveaways – Every Friday in June (1st, 8th, 15th, 22nd & 29th) We will Draw 5 Winners to Receive Both a $25 Voucher Valid For The Travel Mono Online Store and a Travel Mono T-shirt. A list of winners can be found here. Follow The Travel Mono Facebook Page. All Followers Will Be Automatically Entered Into the Prize Draw. Submit Your Email In The Form Below And We Will Enter You Into The Prize Draw. All Customers Who Buy a Product During This Period, and Customers Already On Our Marketing Database, Will Be Automatically Entered Into The Prize Draw. The competition closes at midnight (GMT) on the 30th of June 2018. The draw for the first prize will take place on the 1st of July 2018. Entries by the email sign-up method are valid from the 15th of May 2018. By ticking ticking this box you agree to comply with the Terms & Conditions of this competition. Tick this box if you would like us to keep you updated with special offers, articles and new products from the Travel Mono store. Travel Mono will NEVER pass your personal data to a third party. We only use your email for marketing our products, and only if we received your permission in advance. You can stop receiving emails from Travel Mono at any time. By entering this competition you agree to observe the rules set out in the terms and conditions of this site. This competition is only open to residents of the U.K, U.S.A, Canada, Australia, New Zealand, Japan and the EU. A full set of competition rules can be found here: Rule for Travel Mono competitions 2017. Excellent post. I appreciate you for sharing it to us.